The 38th World Supporters Clubs Congress will start with the XII Football Sevens Tournament which will take place on 5 and 6 August. All the supporters clubs who would like to participate must contact their Federation in order to formalize their registration. 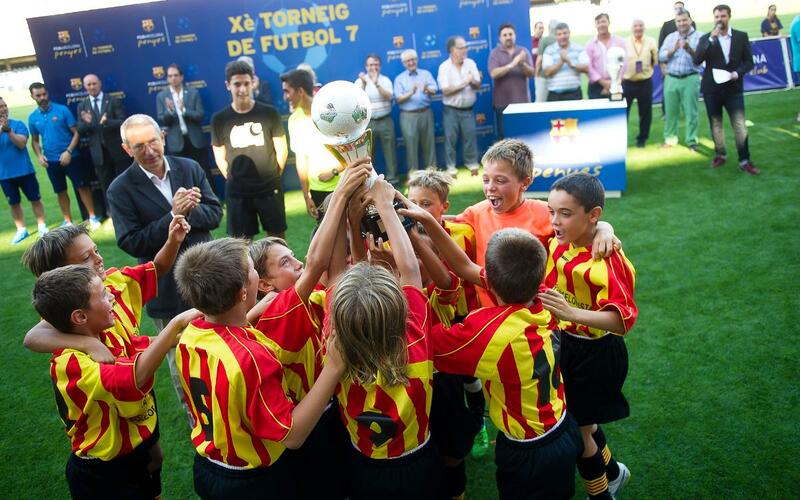 Teams from official FC Barcelona supporters clubs can take part in the U10 (born between 2007 and 2008) and U12 (born between 2005 and 2006). As in previous editions, one team per category can be registered maximum, except in zone 30 and zones 1 and 2, for their own specifications. In addition, following the guidelines of the Federation Development Plan, as a novelty in this edition, teams will be able to register as Federations of Supporters Clubs. The deadline to receive the registration will be on 21 July 2017. - Each team can register a maximum of 13 players and 3. - The players must be registered in the Penyas Census. - Registrations must be made to the corresponding Federation of Supporters Clubs. Finally, a form must be filled by each player, providing the photocopies of the requested documents in the space allocated for that purpose.